The Honda Urban EV is our new surprise Civic that is both retro and electro! 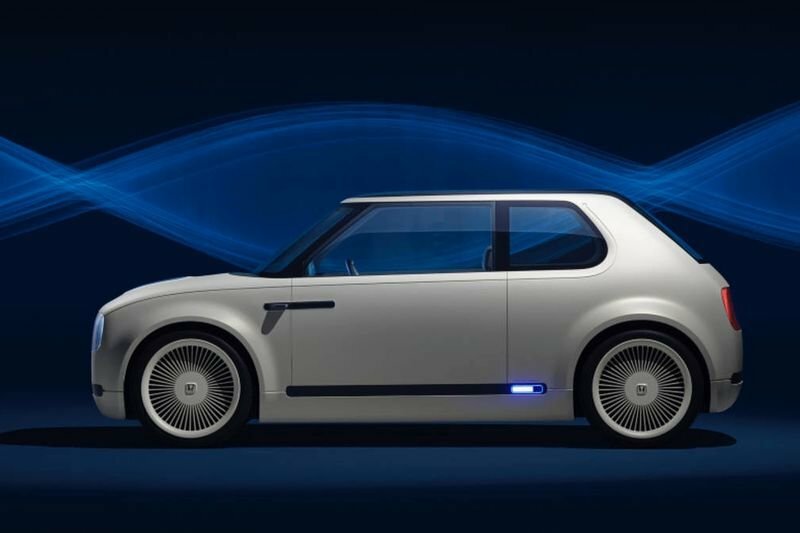 Honda will be showing off its Urban EV Concept at the Frankfurt Motor Show this year. What we can expect to see obvious inspiration from the Honda Civic's earlier days – making the Urban EV Concept look as much at home on the side of the street as it would at your local drive-thru. The Urban EV has some odd, but highbrow, features like a cool steering wheel, suicide doors and lighting displays all over the exterior. The concept also includes a massive media screen that also appears to be the instrumental panel. If you think it looks a bit small – your eyes do not deceive you – it is. This tiny concept is about 4 inches shorter than the Fit, Honda's smallest export. We haven't heard any real specs about this auto show concept, but it did debut alongside what Honda is calling the Honda Power Manager Concept – a system that stores energy at your home. That battery system can then back feed the grid and make you some money. Even though we don't know if the Power Manager Concept will see much use, Honda president and CEO Takahiro Hachigo says this concept isn't far from reality. According to Hachigo, "This is not some vision of the distant future; a production version of this car will be here in Europe in 2019." If this is the future of Honda's electric car push, we are pleased with what we see! As with the CR-V Hybrid, there's no word on whether it will make the jump to North America or other markets but we're always up for a surprise! Look at the gallery to see progress towards the future presented in a nostalgic, retro fashion!